Does Sugar Make You Bloated? Feeling bloated never is a comfortable feeling, especially if other gastrointestinal problems accompany it, such as pain, flatulence or changes in bowel movements. If you have noticed that certain foods seem to make you bloated, start keeping a food journal and write down what you eat at each meal, as well as when you are bloated and other related symptoms. You might notice that sugar or some types of sugar seem to be associated with your bloating. Fructose is a type of sugar naturally found in fruits, but it also represents half of the sugar found in table sugar. Fructose is also present in other sweeteners. Some people have a condition called fructose malabsorption, which is characterized by the inability to properly absorb fructose. As a consequence, the fructose stays in their gastrointestinal tracts, where it ferments, producing gas and making you feel bloated. To be diagnosed with fructose malabsorption and determine whether eating some types of sugar might be related to your bloating, you can have a hydrogen breath test done, which is similar to the test used to diagnose lactose intolerance. If you have a problem absorbing fructose, sugar with a high fructose content will be problematic. 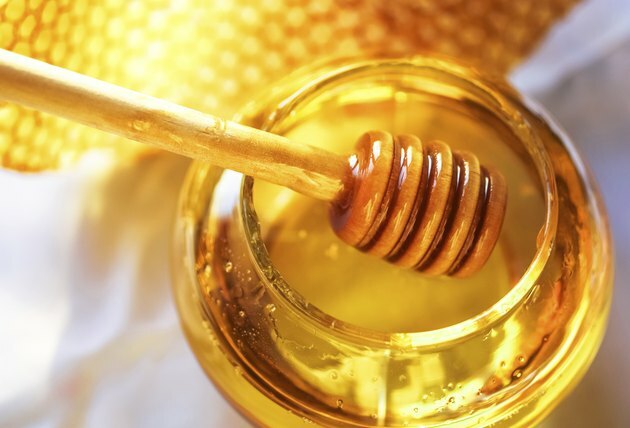 Sweeteners with the highest fructose content include honey, agave syrup and high-fructose corn syrup. Carefully read the ingredient lists of a food before eating it to ensure it doesn't contain these sweeteners. 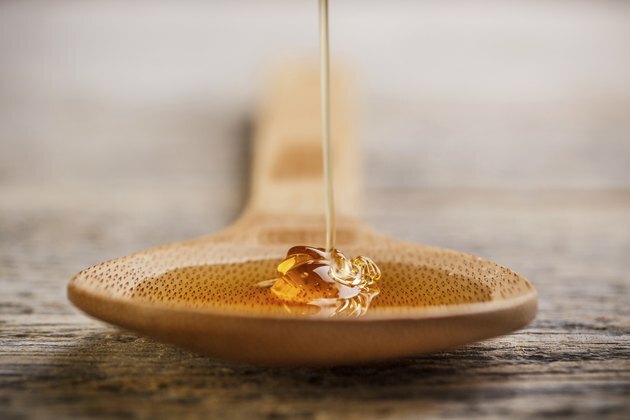 Maple syrup and regular table sugar are usually better tolerated because they contain equal amounts of glucose and fructose, and glucose contributes to enhancing the absorption of fructose. However, even though these sweeteners are usually fine for fructose malabsorption, eating too much at once can cause problems and induce bloating in sensitive individuals. Although fruits are considered to be a healthier source of sugar and carbohydrates, they still contain sugar, especially fructose. 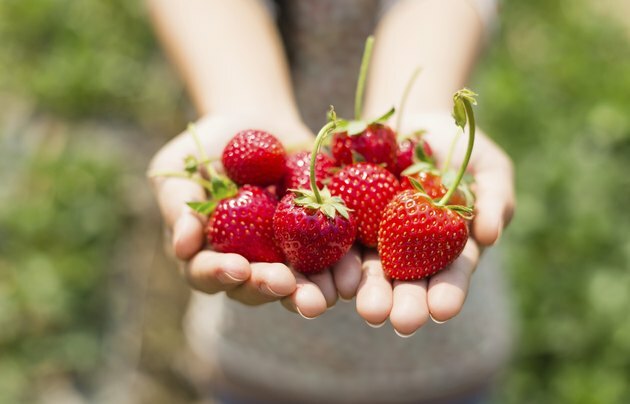 Some fruits contain higher proportions of fructose and can make you feel bloated. 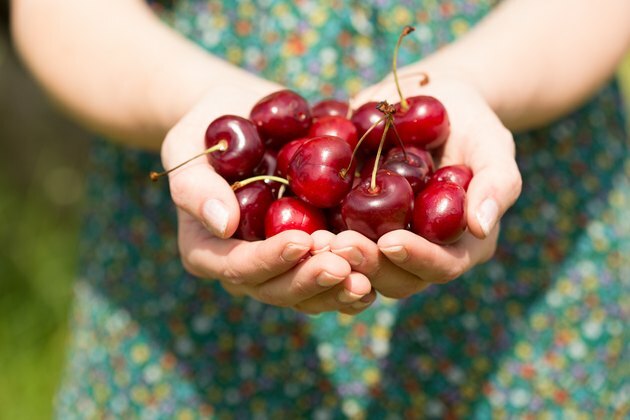 If you are diagnosed with -- or believe you have -- fructose malabsorption, avoid watermelon, apples, mangoes, pears, cherries, dried fruits and fruit juices. Swap high-fructose fruits for oranges, kiwifruits, blueberries, banana or honeydew melon, but keep the serving size small to prevent bloating. If eliminating sugar, especially high-fructose fruits and sweeteners, does not completely resolve your bloating problems, consult your doctor. Some tests might be required to identify the cause of your gastrointestinal problems. If your doctor rules out potential intestinal disorders, your bloating may be caused by other food intolerances. A registered dietitian experienced in gastrointestinal health can help you figure out other problematic foods commonly associated with bloating, including foods rich in short-chain fermentable carbohydrates such as lactose, fructans, galactans and polyols, as explained by Catsy Patsos, registered dietitian and author of "IBS -- Free At Last! : A Revolutionary, New Step-by-Step Method for Those Who Have Tried Everything." Journal of the American Dietetic Association; Fructose Malabsorption and Symptoms of Irritable Bowel Syndrome: Guidelines for Effective Dietary Management; Susan Shepherd et al.